valentine's commercial retail window display ideas. 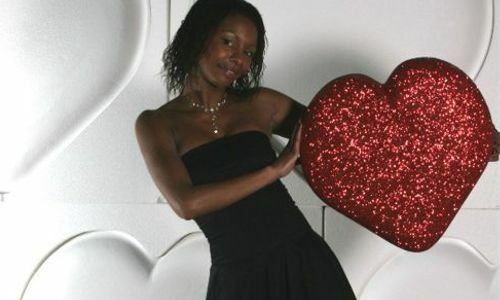 polystyrene hearts and more for commercial Displays, window display and event theming. 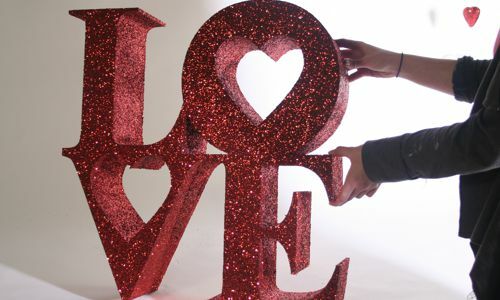 Love will soon be all around us so if you're thinking about the best way to decorate your shop window or Valentine's themed event, then look no further! We have some great new products this year, including our Heart VM Shelves! 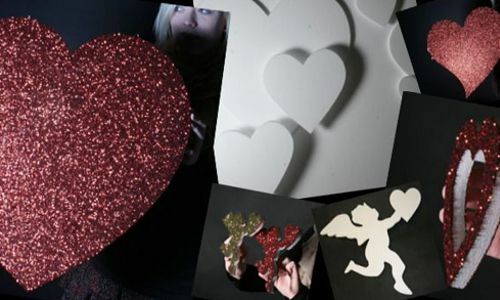 Our lightweight 2D polystyrene hearts are ideal for hanging or affixing to walls. 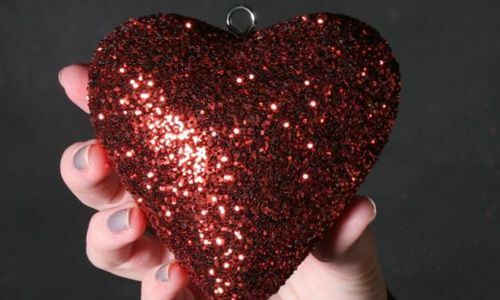 Glittered, painted or plain they create a Valentine mood that surely Cupid himself would approve! From 50mm to 150mm these polystyrene hearts can give the smallest space a romantic feel. Available in plain white, glittered or painted - with or without hanging points. In addition to creating a centrepiece to your window display, the shelves can be used to effectively display retail items and will look great from the outside as well as inside of your store! 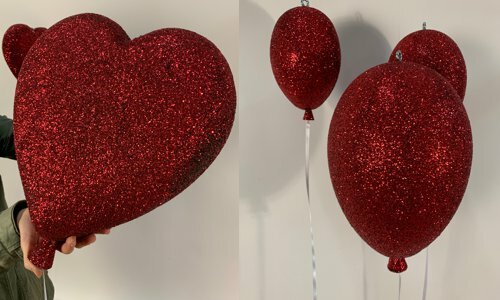 Available from 300mm to 1200mm (over 4ft), with a flat front and back, then radiused edges as standard, the large hearts can make a great centre piece to any display. Our letters are cut from high quality display grade polystyrene, which contains a flame retarding additive. They can be finished plain, or covered with glitter! These letters are available from 100mm letters over 2 meters! As well as our standard valentines range, we also offer a full bespoke letter and logo service. New for this season is our range of 3d polystyrene balloon shapes. Covered in glitter, and fitted with a hanging point at the top, and a length of ribbon the bottom. These wont deflate in the window !! What better way for a sweetheart to express their love, than with a heart filled with sweets, jewellery, a mobile phone or other small gifts? 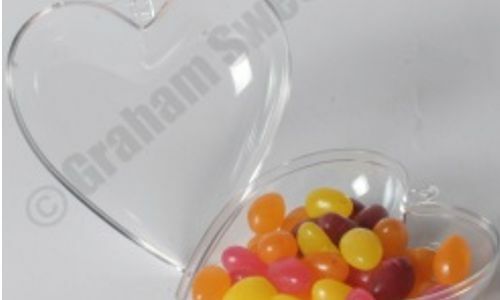 Our crystal clear hearts and shapes are easily filled, making them ideal for creating wedding favours.